How long should your reps last? New, quality study has the answer. – Is it healthful? How long should your reps last? New, quality study has the answer. I like to go to the gym. If anything, for the entertainment. I’m not talking about the cable television on the treadmills, but the people. 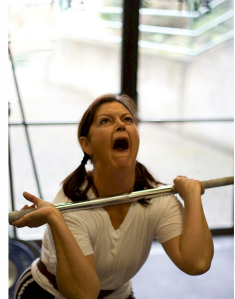 Yes, the people doing funny things with weights. Most recently, I noticed a newbie in the gym performing bicep curls so quickly it wouldn’t have made a professional masterbater jealous (sorry for the graphic image). This young chap was clearly not training for power – you could tell he hadn’t trained before. Rather than correct this up and comer, it made me wonder: what is the optimal repetition time to increase muscle mass – the reason why most do weights? Surely really, really quickly wasn’t it? Well a new study has the answer. The study I speak of is a recently conducted systematic review with meta-analysis, which is essentially a really high quality review paper. The paper aimed to determine what the optimal repetition duration for increasing muscle mass is. The paper analysed the results of eight different studies, pooling and statistically analysing the data from these trials. It was determined that a repetition duration of 0.5-8 seconds produced similar increases in muscle mass when participants completed sets of a fixed load until fatigue. Sadly, repetition durations above or below this range, led to less impressive increases. Previously, the optimum repetition duration was thought to be around the 4-6 second mark, independent of any other training variables. This still appears to be correct and happens to be smack bang in the acceptable range; but this data tells us that going slightly under or over this amount doesn’t seem to be detrimental. Interestingly, based on this study, slow repetition training appears a waste of time and quick rep training may still lead to some nice enhancements in muscle mass. So, all in all, repetition lengths of 0.5-8 seconds are healthful for improving muscle mass. Specifically, sitting in the middle of that range, around the 3-7 second period seem most healthful for the time being. I hope this has been healthful. How long do your reps last? Thanks, Lauren. You’re far too kind :). Great study! I have found, much like anything in this field- tempo has a lot to do with the persons’ in front of me experience and goals. I’ve seen better neurological recruitment – in that they are better able to pattern the movements with at least a 3-0-3-0 tempo. The slow reps here allow for the body to properly program itself with the movement, and that is fairly key when dealing with a newbie to lifting. However, for those that are a bit more experience, quicker tempos might be the way to go. Surface muscle and that “pumped” look is all faster twitch muscle so slow reps won’t promote the same type of physical response in folks aiming for the beach look. 2-0-2-0 typically works best in my experience. Again, it’s an individual based study I have done only off of my experiences – so it’s nice to see and hear other methods that can promote results too! Thanks for the comment, Mike. Yep, I’d very much agree with what you’ve said there. 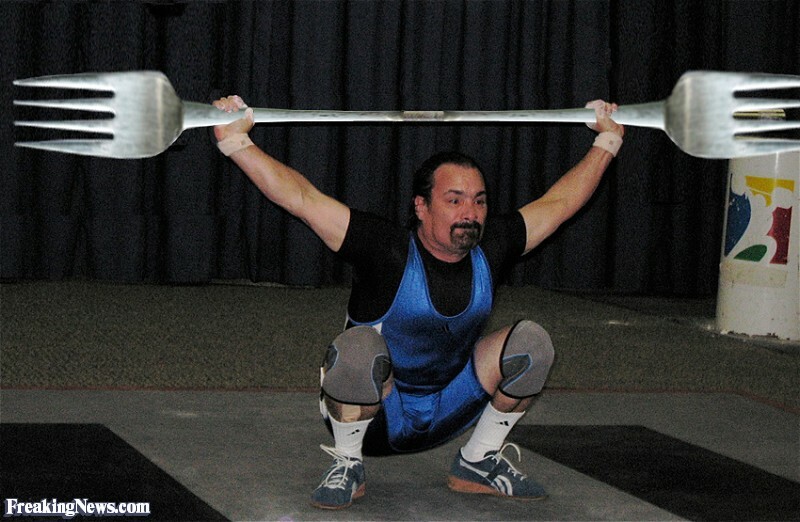 There is nothing worse than a beginner trying to lift at a million miles an hour and completely stooging the technique. Also, what you’ve said about the type two fibre recruitment makes complete sense. Great comment!